Never before in history were humans as dependant on energy as we are today. But the natural ressources are limited and a waste of energy has drastic influences on the environment. In their Action Plan for Energy Efficiency  the European Commission estimates that the largest and cost-effictive energy savings potential lies in residential (≈ 27%) and commercial (≈ 30%) buildings. To eliminate heat and air conditioning losses in buildings and factories heat and air leaks need to be localized and identified. Imagine the availability of a complete 3D model of every building that architects can use to analyze the heat insulation of buildings and to identify necessary modifications. In these 3D models temperature peaks are not only detectable but also their extent is visible. A robot equiped with a 3D laser scanner, a thermal camera, and a color camera constitutes the basis for our approach. The data from all three sensors and from different locations are joined into one high-precise 3D model that shows the heat distribution. 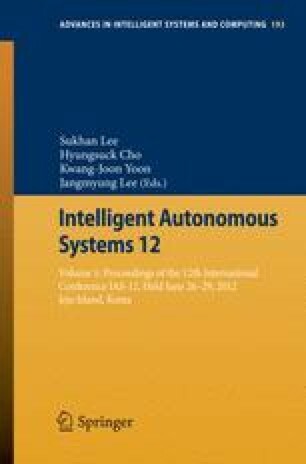 This paper describes the setup of the hardware and the methods applied to create the 3D model, including the automatic co-calibration of the sensors. Challenges unique to the task of thermal mapping of outdoor environments are discussed. This work was supported by SEE-ERA.NET project ThermalMapper under the project number ERA 14/01 . We gratefully acknowledge the work of Diana Babiac who collected the photos and performed the image based modeling.